This section provides an overview of the Content Strategy Filters in the Calendar Interface. 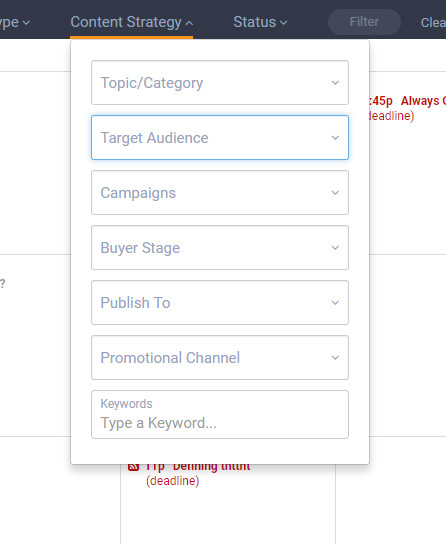 The content strategy filter within the Calendar Interface allows you to filter your calendar view by Topic/Category, Target Audience, Campaigns, Buyer Stage, Publish To, Promotional Channel, and Keyword(s). You can filter by any combination of these seven content strategies, as well as set a saved view based off your filters.